And without a doubt this is a telescope because the carving shows he has one eye closed and the other eye is open, typically how anyone looks through a telescope. And you can also see that the telescope is pointing up. 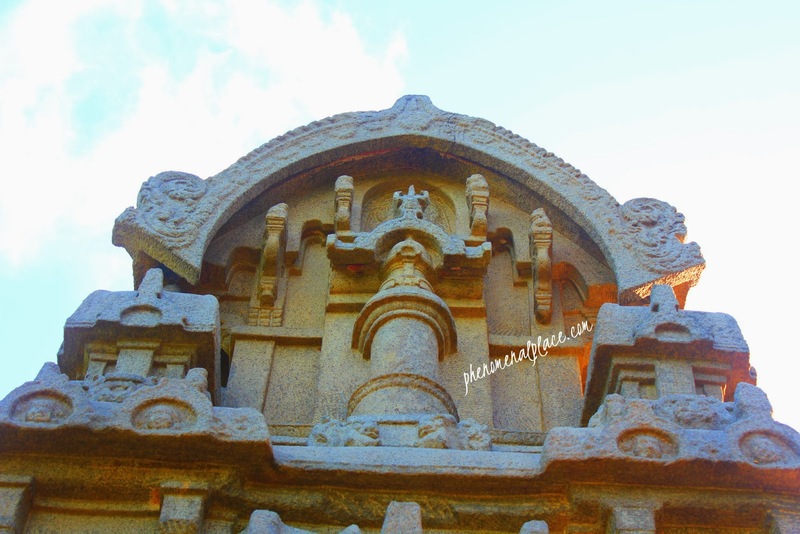 This is shocking because all experts agree that this temple was created around 1120 A.D which is about 900 years ago. However, history books tell us that the telescope was invented much later - in 1608 by a man called Hans Lippershey, just 400 years ago. So, how could a telescope be carved in a 900 year old temple, 500 years before the invention of telescope? Let's look to the right, and see if we can find the answer to this question. Here is their leader shown on a chariot. It is a shame that this sculpture was destroyed by foreign invaders, so we can't see all the details. 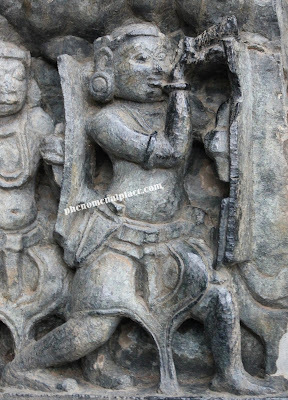 But we can see that this Deva is holding a rod like device, which releases multiple missiles into the air. Today, we use the same technology- we call these equipment as multiple rocket launchers, capable of releasing many rockets at once. Again, if you compare the carvings of these missiles to our modern day missiles, they look identical. 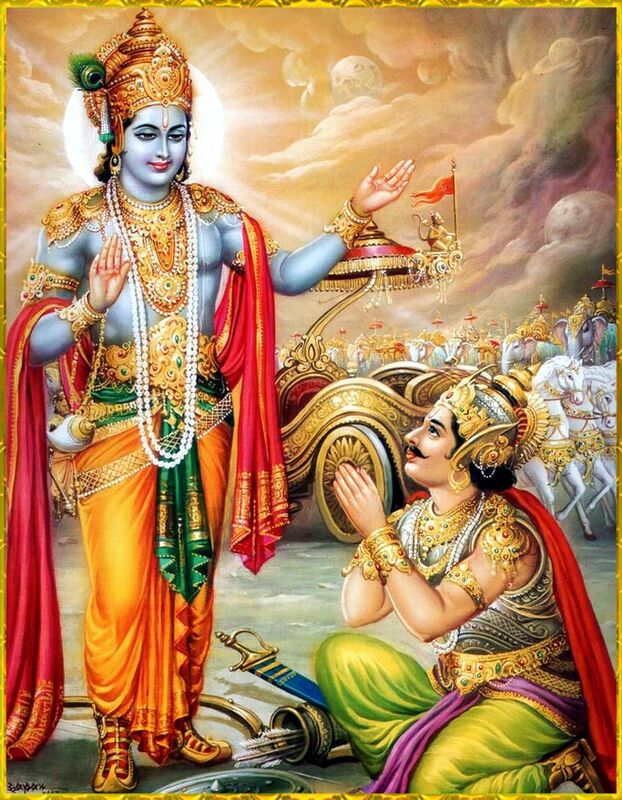 In fact, ancient Indian texts clearly mention that gods used weapons called Astras which were more advanced than what we even have today. Many experts claim that astras simply mean arrows, however, the astras shown here clearly prove that they are not arrows. Arrows have to be long and thin to travel, these are too thick to be arrows. These carvings don't have a pointed edge, they have a rounded head like a modern day missile. This explains why ancient Indian texts show a remarkable understanding of astronomy. These books give many surprising details about various planets and stars and modern day experts are quite confused as to how primitive people could obtain this kind of information. The answer is this, the primitive people were no longer primitive after they met their gods - they were using telescopes to observe and record their findings. Now, you can go through pages and pages about the history of telescope and we don't find anything about India. In Wikipedia, there is a detailed history of telescopes, but nothing about this carving. Why? Am I really the first person to find this carving? If a guy like me who has spent just a few weeks looking at this temple can find this information, there must have been many other historians and archeologists who must have also noticed this carving. In fact, government archeologists make a detailed note of each and every carving in these ancient temples. As an Optometrist it's clear that the history of telescopes is would be useful to my knowledge. Your account is useful. However the proof of the origin of eye glasses goes back before the traditional history. Florence in the 12 century was the first place that eyeglasses were made is what we are given to believe. It's true that the technical expertise to make glass and understanding how to grind emerald and engineering transparency into convex and concave forms. It's not unusual that the history of glasses originated on the Silk Road . The ideas may be alien but the technological expertise was clearly conceived and created by humans. Dr Craig Venter will explain that as far as aliens and phylogenetic evolution is concerned there's genetic evidence to explain that certain knowledge is kept from the history section of western universities not because of their principles of scientific research. Ancient Indian texts are not connected to modern history. I would enjoy discussing this subject with you my blog is www.ravibhojwani.com would love to jump on a call. I am Sindhi myself and I understood your opinion perfectly . Ancient technology has been suppressed and we live in a truly distorted reality devoid of knowledge of Indian history. 900 years of destruction and 400 years of empire saw to that. Saptarishis were used to calculate the age of the universe and explore multidimensional knowledge. The atomic nature of reality was not Greek. The middle eastern temples that spawned multiple western religions ( India has millions of gods ) suppressed and rehashed the knowledge . The library of Alexander was burnt. He also never could enter India ( attacked by Vimana's ? ) any way you are the only one doing this work- I am skeptic but I do know some knowledge about the history of telescopes - many people in Ophthalmology and Optometry will be pleased if we can correct and add too our taxonomy and timescale. Revisionists like you and Malcom Gladwell , Bill Bryson and others are potentially a form of the new heretics as we see the remaining history as the distribution of ideological politics that seeks to destroy the humanity of the populations. Much of your information coincides with the Lacerta Files. It is not a telescope. If we see the length, that kind of telescope will not be of any use. Infact if you carefully observe, the man is holding a shield in one hand. He has positioned the device between his palm and shield. Palm is stretched like a plane parallel to ground. It is not the way a telescope is held. It indicates an angle measuring device. Such angle measures are done to give coordinates for archers and firing of cannon balls. The angle of shooting, determines the flight path of projectile. For effectiveness and precission, these kind of angle measuring was used. Such tools are ancient than 10th centure, as mention of such tools also comes in astronomy. Please do not hype and link things. Such hype does more damage than lies. If knowledge was shared among it's people, there would have been all more greater innovations and inventions. Learned people and with selfish motives never wanted share the knowledge with other class of people. They kept everything written in sanskrit which was never taught to anybody to make sure others won't raise and excel. And now boasting about we did that, we did this... our technology superior, awesome, great intellects.. nonsense. When people are not respected and knowledge not shared will definitely perish in the new world. That's not a telescope : Hi Praveen, I like your videos,and your good work is appreciated a lot :-) . However, in this video the Deva is clearly not holding a telescope or a monocular for two reasons : Looking at the position and angle of the hand, one can say that this is definitely not the way one holds a telescope. You can compare this hand position at 0:10 with your own hand position at 0:34 to understand better . 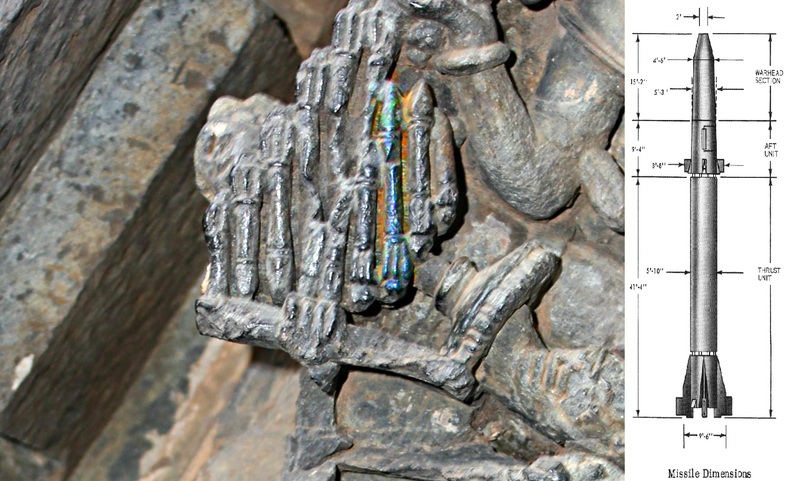 Just because the base of the weapon/horn etc is at the eye-level doesn't make it a telescope.If the sculptor wanted to depict a telescope, he could have done that easily like he has sculpted the first asura holding a horn in his right hand touching his mouth , and weapon in his left - like the following asuras with the weapon in their left hands.The sculptor has sculpted those asura hands and their respective positions quite well, so sculpting the right grip on a telescope would have been easy to sculpt for him. But he did not do that because he sculpted the hand grip to hold a weapon for the Deva who was holding a big shield in his left hand if one notices. The object the Deva is holding is a weapon (sword or a cylindrical Mace like this : http://3.bp.blogspot.com/-wnMzUDL7YCc/Uv3BJ-IL8uI/AAAAAAAADyY/bOqfy3nR-uU/s1600/studded+truncheon+mace+bat+club+lead+weighted+weaponcollector+hand+made.2.JPG or a Hanumanji's Mace /Gada like this : http://www.saranam.com/asset/cmsimage/product/cb20420cc82b44f15a3d1485c62d770f_222_222_thumb.JPG We cannot see the complete weapon on the Deva's hand because the upper part of it has been broken away by the barabaric invaders who broke the weapons of the first two asuras as well along with many other parts of the sculpture. 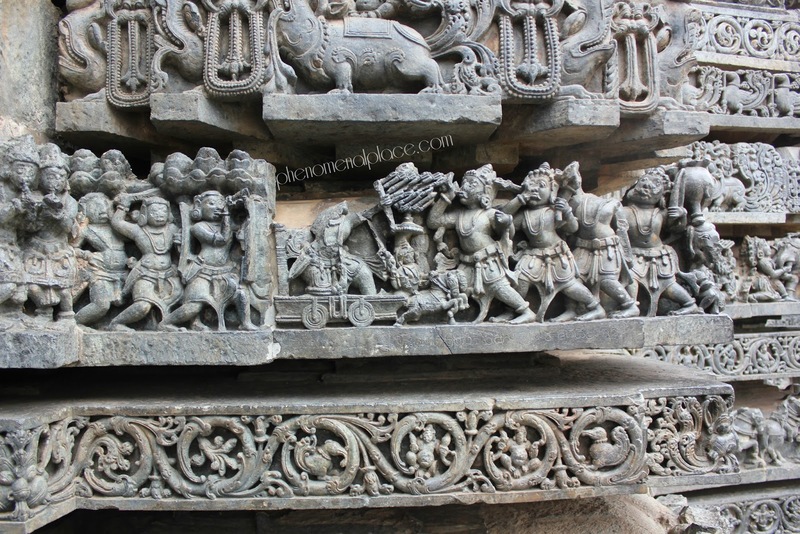 The most interesting part of this battle scene sculpture panel is the interesting weapon being used by the Leader of the Devas! This weapon has been sculpted in other panels and sculptures as well. Also, at 3:11 you have shown a map with pakistan in it! in ancient times, there was no pakistan, and moreover great Bharata was spread wide and far across asia, and so Hindus and zoroastrians were not separated by a continent as you have said.. Again, "Astra" means weapon (any weapon, or check the great brahmastra for ex), for arrow - Sanskrit has many words like Bana, Sharya, Shana, Asta, Ishika, Lakshyahana etc.. Ancient Bharata was the greatest in terms of scientific research and development, Mathematics,Astronomy,astrology,fantastic technology, (like vimanashastra that enabled traveling across the multiverse),teleportation,telekinesis,pyrokinesis, mystic powers, inter-dimensional travel, literature, art, music, meditation,and all aspects of life on this planet and beyond. I've been interested in studying these since the 70s.. Ancient Gods across the globe have been rightly described as aliens with superpowers by Erich Von Daniken, and many more 'open minded' scholars and people like Giorgio Tsoukalos, David Childress etc..(Never missed any episode of Ancient Aliens!). With scientific development and thanks to satelite data and lidar scanners, more and more ancient secrets are being uncovered these days! There is much to know about our ancestors, keep up your good work of analyzing things logically, but please don't get tempted to 'sensationalize' like others, because you don't need to do that. You are already quite popular and loved by all of us. :-) I would love to help make the videos better with cgi, if reqd. Keep up the good work! tk care,dear. Pls take back ur words "everything written in Sanskrit and never taught to anybody". Those days Sanskrit was the main Language fr communication hence its written in it. Now a days we r liking & learning foreign languages & losing interest on our own ancient language. So whom to blame now ?